…come to life at Gold Hill Gardens. An exceptional, scenic venue with classic elegance, the 38-acre private estate boasts 11 acres of gardens, beautiful oak trees, bubbling creeks and natural beauty nestled at the base of the Sierra foothills. Special events for up to 150 guests with provisions to include the use of 5 luxurious guest rooms. A secluded setting that’s close to many amenities, Gold Hill Gardens is the perfect spot for a dream wedding, weekend getaway, corporate retreat, family reunion or any other social gathering. Poolside cocktails, garden lunches, sunset receptions, barbecue and shuffleboard…your special event will truly be an experience to remember. 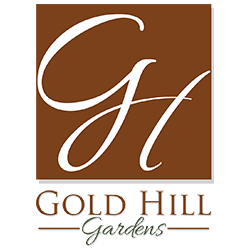 Here at Gold Hill Gardens, we understand that special moments can also be stressful, so we’re here to add our personal touch and to help you take care of the details. We welcome the opportunity to help you celebrate in style. it is an experience that will last a lifetime! yet close to so many amenities.